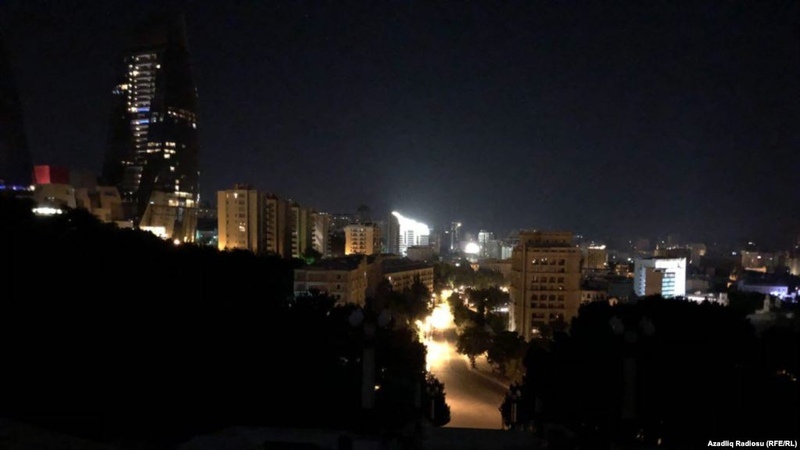 AKIPRESS.COM - Azerbaijan experienced a total electrical blackout early on July 3, but authorities reported that supplies were slowly being restored throughout the country, RFE/RL reported. Authorities attributed the massive outage to a explosion at a thermal power station located in the northern city of Mingachevir. The office of the presidency said that extremely hot weather -- which prompted widespread use of air conditioning -- caused an overload of the electrical system and led to the accident. The outage put residents of the capital city Baku in the dark for hours. But by early morning, power had been restored in many areas and at essential facilities like hospitals, military bases, the Baku metro, and the airport, the APA.az news outlet reported. The government said electricity supply to most districts of Baku, including Yasamal, Nasimi, Khatai, Binagadi, Sabayel, Khazar, and Sabunchu, as well as the nearby town of Khirdalan had been restored. Temperatures are expected to soar later on July 3 to a high of 43 degrees Celsius and remain in that range through July 4, forecasters say, posing further strains for the electrical system. Air conditioning is one of the biggest drains on power plants worldwide. Azerbaijan's Ministry of Emergencies said firefighters brought the fire from the explosion in Mingachevir under control. It said no one was hurt of killed in the explosion. "Electricity supply will be gradually restored in the country. There is no reason to panic," a ministry official said. The ministry said electricity had been restored in some northern regions of the country. Yahya Babanli, a spokesman for Azerenergy, a state energy supply company, told Real TV that Azerbaijan is moving to import electricity from Georgia and Russia.